Research is a way of generating resources, earning and upgrading Evolved Bacteria, and improving Bacteria production. 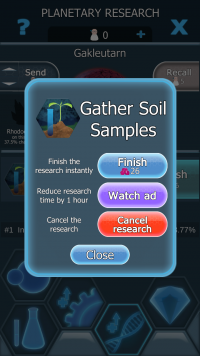 Most research types require some amount of time to be completed and use Scientists, which are returned to the player after completion. New research types can be unlocked by destroying planets. The base duration of a research action varies depending on the research type. The research time can also be modified in various ways. The most notable one is upgrading your reduced research time stat, which will affect every action in the Research menu with the exception of Scientists travelling to and from planets. Other ways include paying Diamonds or watching ads to instantly complete one research action or completing Daily Quests and collecting Red Bacteria to reduce the remaining time for all active research actions. The option to cancel the research appears if you press and hold on an active research action. Cancelling a research action will cause all the progress go to waste and return the Scientists to the player. There are seven research types, all of which are unlocked by Planet 9, the only exception being Bacteria Irradiation. Bacteria Irradiation is unlocked only after 5 planets past the first Black Hole. Colony irradiation is unlocked after destroying Earth. Successful irradiation doubles the production of a random colony. Unsuccessful irradiation yields some Bacteria. One colony can be irradiated multiple times. It is only possible to irradiate colonies that you have purchased at least once before. If every colony has been purchased at least once, then each colony has the same probability of being irradiated. The irradiation effect is not lost when entering a Black Hole or attacking a planet. Only one irradiation type can be researched at a time. The ability to mutate Evolved Bacteria is unlocked after destroying 4 planets. Mutation requires two Bacteria of equal level and always gives one Bacteria of a higher level as a reward. The rarity of the mutated Bacteria is the same as the rarity of the used Bacteria. 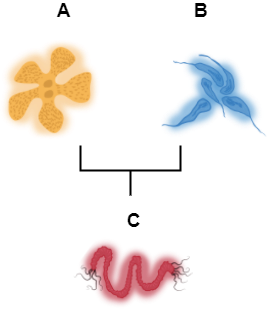 If they are of different rarities, the mutated Bacteria will have a random rarity in the same range, so it is not possible to obtain a higher rarity Bacteria through mutation. The default mutation cap is Level 3, which can be raised to Level 4 with the Ultimate Life Form tech at the Dark Matter Institute. When calculating the mutation results, the effects of Bacteria A and Bacteria B play an important role. Mutating Bacteria with similar effects gives a better chance to obtain a good result. Mutation results are calculated by taking the average values of Bacteria A and Bacteria B, so Bacteria with better effects usually give better results. Even though higher level Bacteria generally have better effect, it is possible to mutate a Bacteria with weaker bonuses, especially if A and B are of different rarities. In most cases, Bacteria C will have the effects as either Bacteria A or Bacteria B. The exception is when C has more stats than A and B individually. The name of C is random and does not depend on Bacteria A and B.
Nanobot production is unlocked after destroying 5 planets. 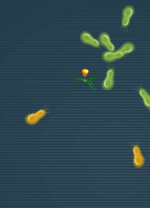 Bacteria irradiation is unlocked when the player has destroyed five planets after the first Black Hole. Irradiation can increase the Black Hole Survival Probability of one selected Evolved Bacteria. The default survival probability cap is 30%. It can be raised to 90% by researching Hazard Elimination and other technologies at the Dark Matter Institute. This page was last edited on 17 October 2018, at 12:56.